I have a 1.5 year old, 3.5-foot tall indoor avocado tree that I grew from the seed. I have been pruning it back occasionally and typically get 2-3 new stems from each cut-back. It has been getting direct afternoon light for the past 4 months since I moved to my current home. It's healthy but despite my best efforts, it diverged into two clusters of leaves that have been spreading out and I would prefer to centralize it. A collage of photos is attached. I am thinking of doing a drastic pruning back to try to induce new branch points further down on the trunk. If I were to cut it back all the way to earlier stems, say with the main branch pattern intact but just a couple of inches of each major branch, with no leaves left, would it induce new buds from further down the now-bare branches, or would it just kill the plant? In theory, if you see dormant knots on the stem, you have a chance that they will form new shoots after pruning. However, you risk that the plant will die if you prune the branches with leaves off at the wrong time or at wrong conditions. The best time to try this drastic new haircut is in the beginning of spring (or just before), when light hours increase quickly and intensity of light is also stronger. This light will activate your plant to start growing again. Also, try not to overwater it when pruned, without leaves the uptake of water is far less than now. There is no guaranty that it will work, though, but your plant does look like a healthy plant (which gives it better chance). Not the answer you're looking for? Browse other questions tagged trees pruning avocado or ask your own question. How can I rejuvenate a privet and hawthorn hedge? 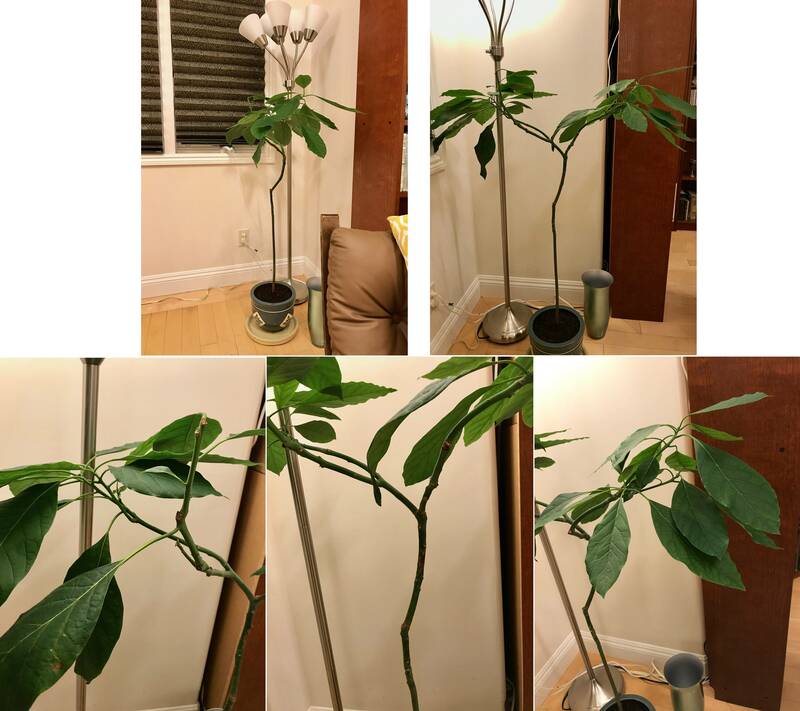 How should I prune a large indoor avocado plant?